I’ve been craving sandwiches lately. Like, not at restaurants, I hardly ever go there. Dinner food or salads for me. But when I’m at home for lunch I’m just kind of OVER dinner leftovers even though I make Jay eat them so I do to but sometimes IJUSTDONTWANNA and so I don’t. There, I said it. Last week was one of those times, fueled mainly by the fact that I’d catered a sandwich lunch, overbought the meat, and now have a gazillion extra pounds of turkey and roast beef, which frankly isn’t a terrible problem to have. 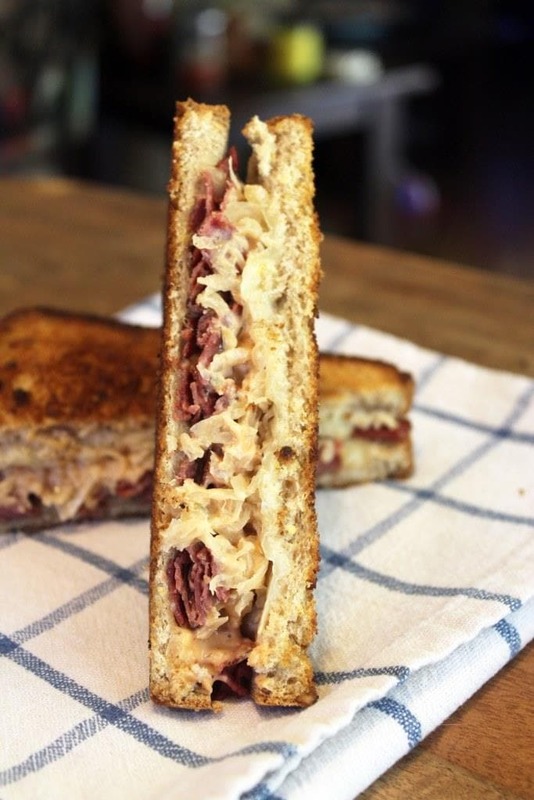 I’d also been thinking in my brain about big macs which is weird because I never go to the place that makes those and NO I’M NOT PREGNANT, so I made me some special sauce and put some sauerkraut on some crispy beef and made myself a dang reuben. And you should too. Maybe for dinner? Let’s make the sauce first! It’s easy, try it, you’ll like it. 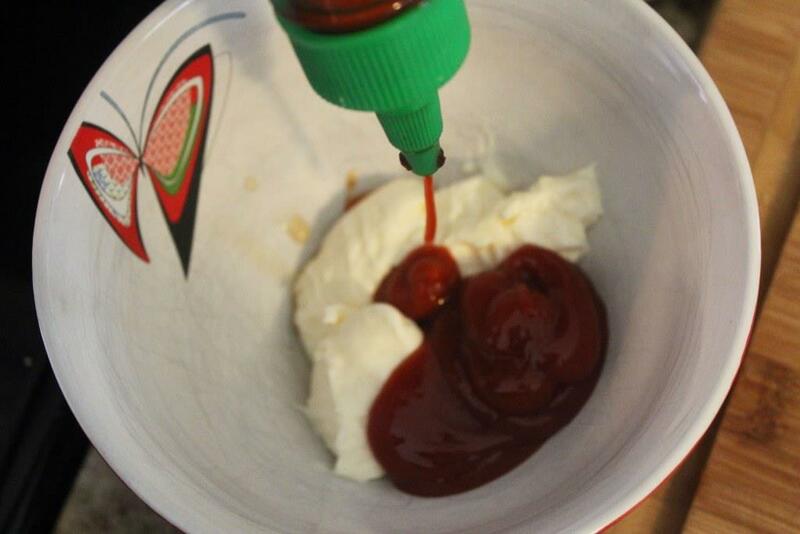 You need ketchup and mayo, which make the base. Also sriracha and honey, which work together for some sweet/spicy sass. Then to flavor we’ve got onion powder, garlic powder, and dill pickle. You can use relish if you really like the sweet, but legit dill pickle chopped by hand is where it’s AT for this dressing. Do it. First add the liquids to a bowl. 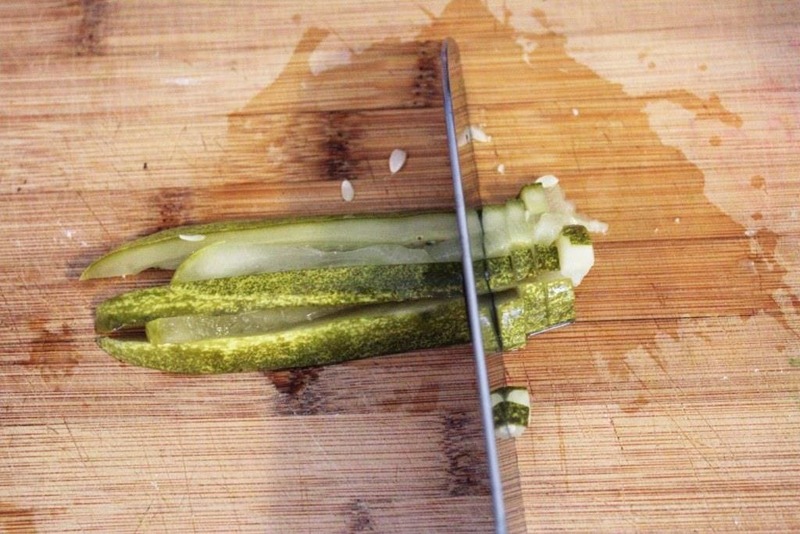 Then finely chop the pickle. 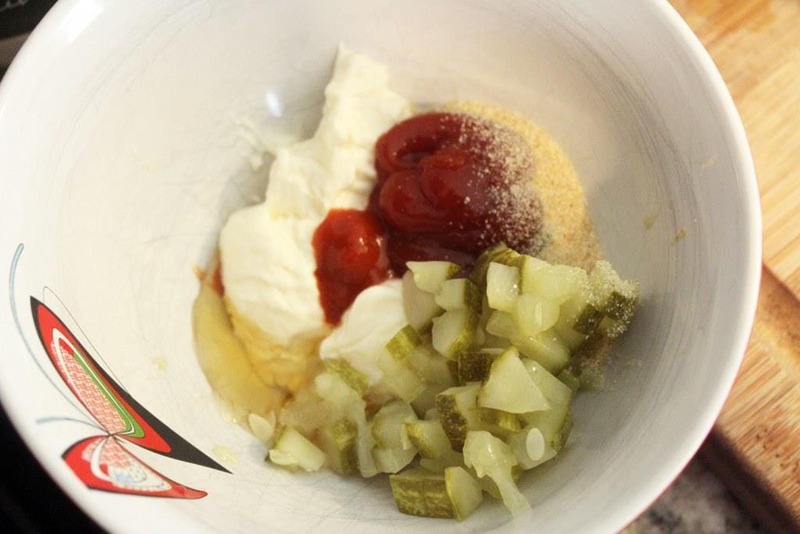 Add the pickle and the seasonings to the bowl. Then stir everything together! 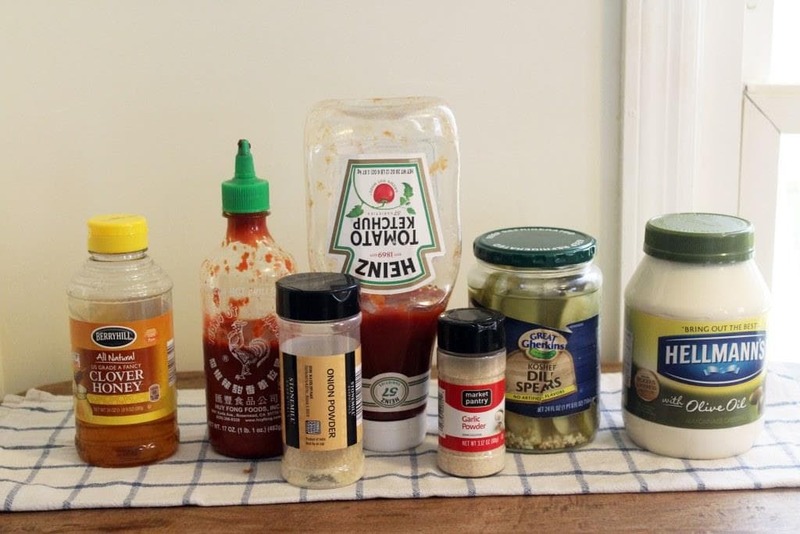 Taste, and add more of anything you think this needs – I added about twice the sriracha as the recipe below because I LIKE IT THAT WAY. So there. Yay special sauce! Now, onto the sandwich! You need special sauce, obvz. 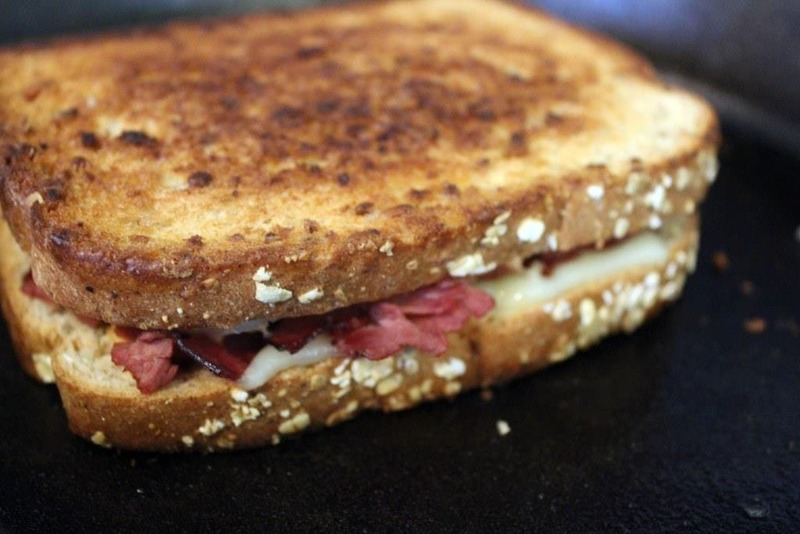 You also need any kind of sandwich bread you like, swiss cheese, butter, sauerkraut, and roast beef. 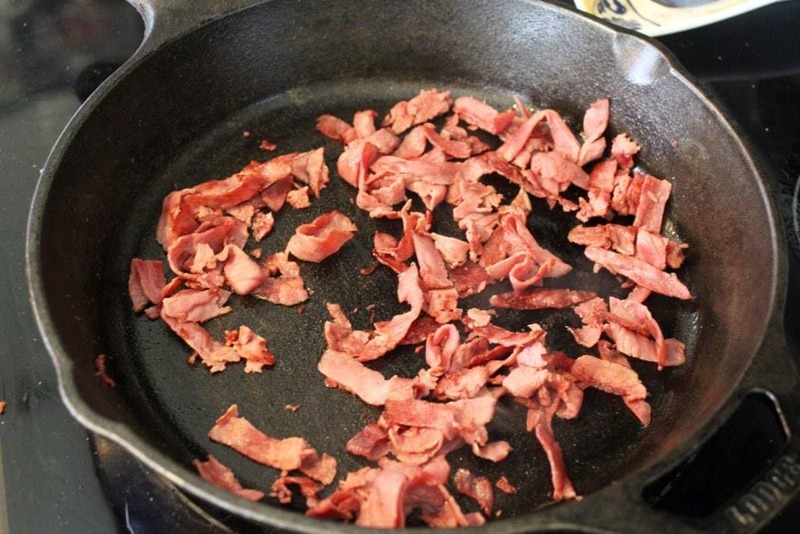 We’re going to griddle the beef, then make the sandwich in the same skillet. 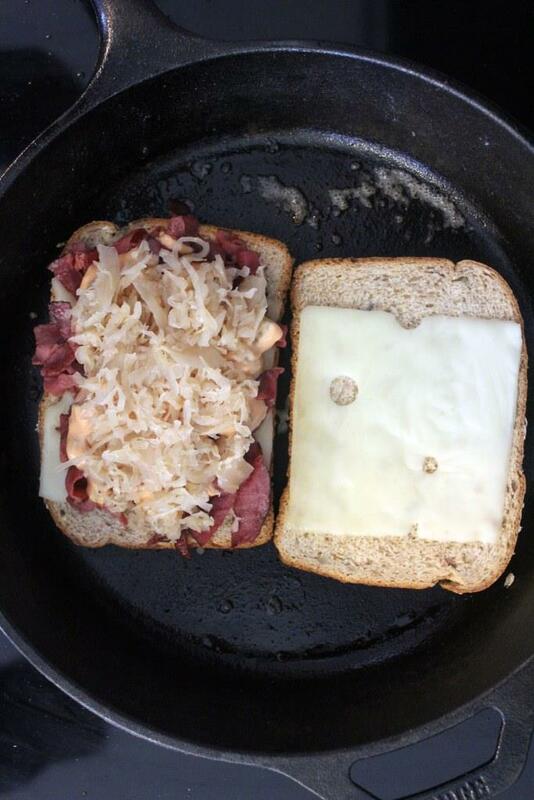 This is making 1 sandwich, so if you have a griddle big enough for 4 pieces of bread you could do two at once. But however you go about cooking these bad boys, start by cutting the beef into thin strips. Then, toss the beef into a skillet with a drizzle of oil over medium-high heat. Cook the beef for 5-7 minutes, flipping with a spatula, until the edges are crispy. See? Flavorful. 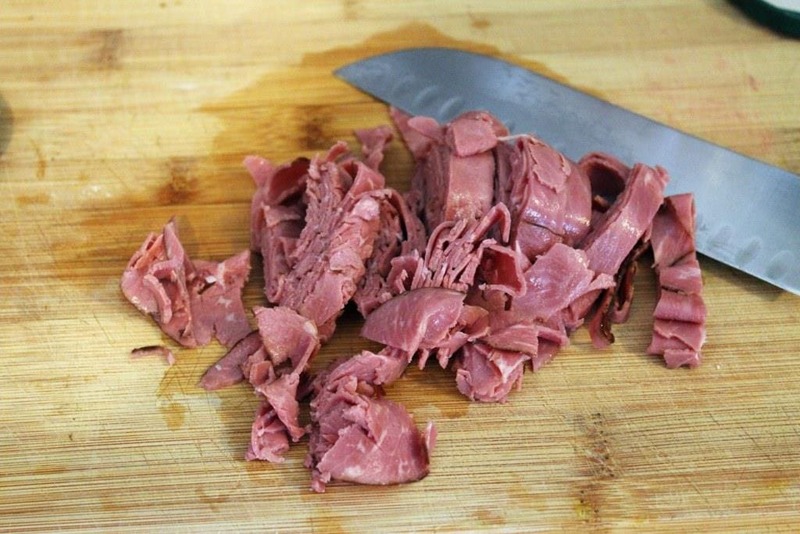 Remove the beef from the skillet once it’s crispy, then turn the heat down to medium-low. We don’t want to burn the bread before the insides are melty! That would be so sad. 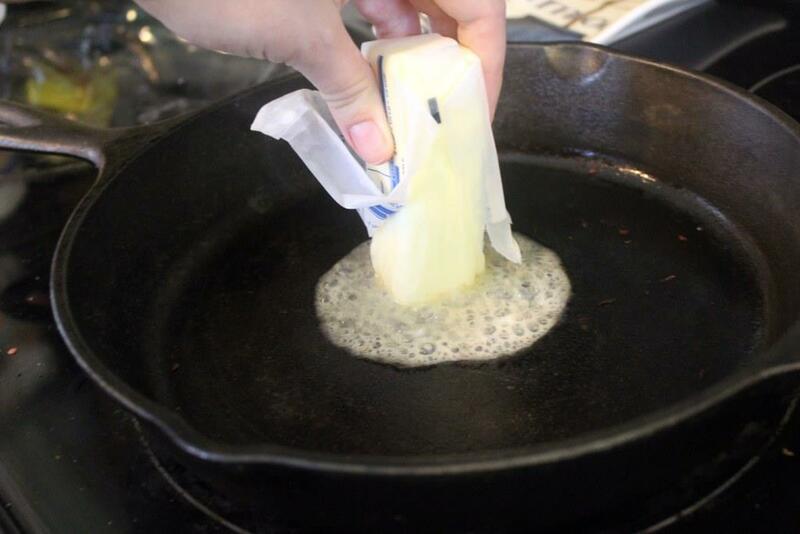 Add enough butter to the skillet to cover the bottom in a really thin layer. 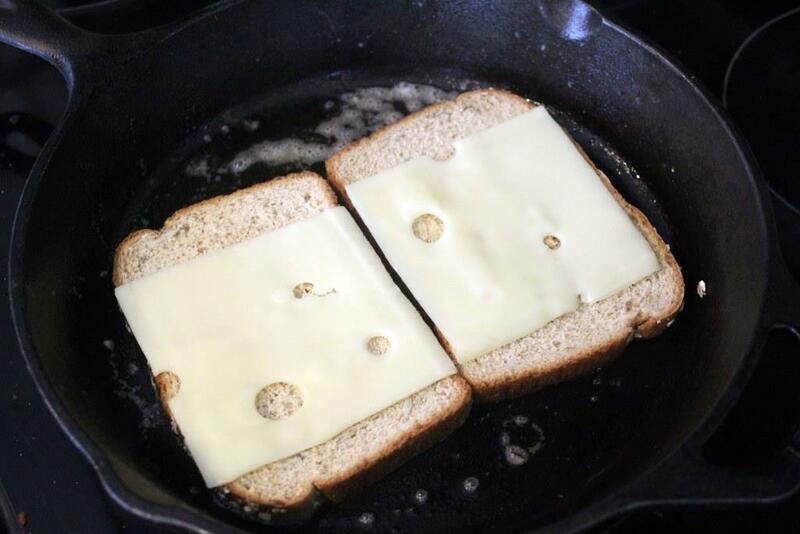 Then, add the bread to the skillet with 1 piece of swiss on each side. Then, build the rest of the sandwich! Make a little mound of beef on one side of the bread, then drizzle some of the sauce you made over the whole mess. 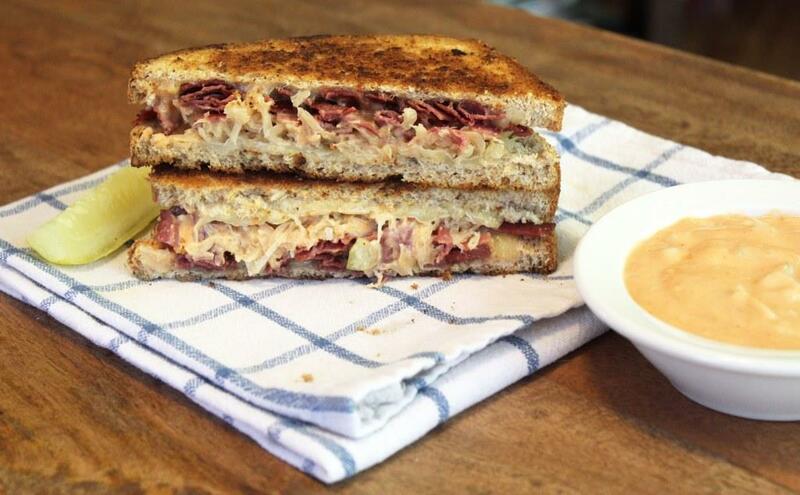 Then top THAT with a heap of sauerkraut, and we’ve got us a sandwich! Let the sandwich continue to cook really gently for a few minutes (check the bread if you’re nervous, it should be slowly toasting but not burning. When the swiss starts to soften and melt, turn the swiss-only side of the sandwich onto the side with all the toppings, and LOOK! A melty sandwich. 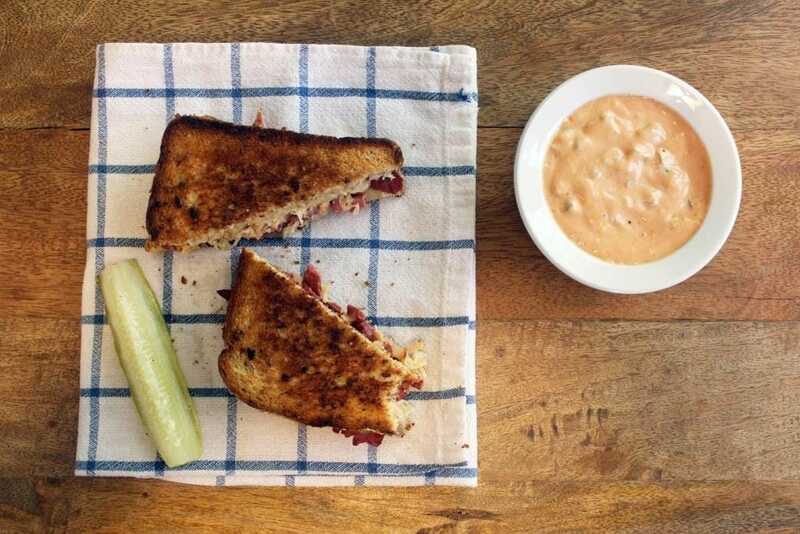 Flip the sandwich back and forth for another minute or two just to drive the melty cheese point home, then cut, preferably into triangles, and serve. YES SIR WE DID. 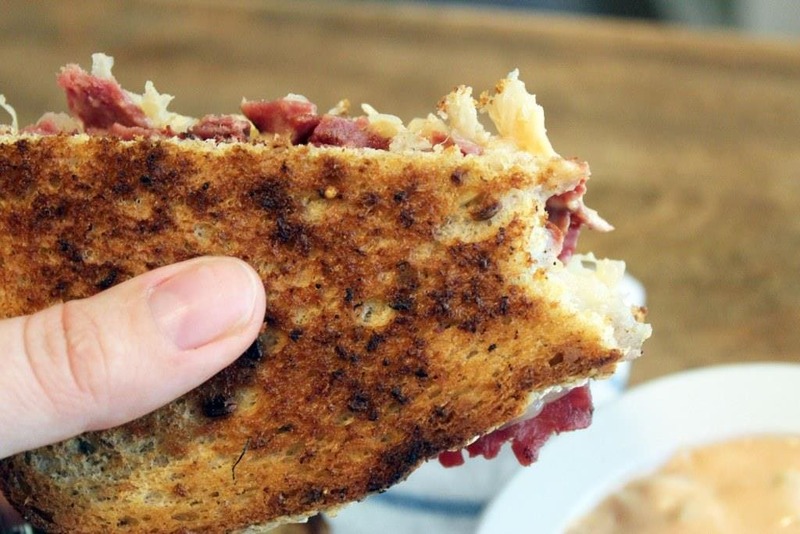 Now, I know that there’s some sauce in the sandwich, but if you’re saucy like me (heh), you might want some extra. I mean, look at this! 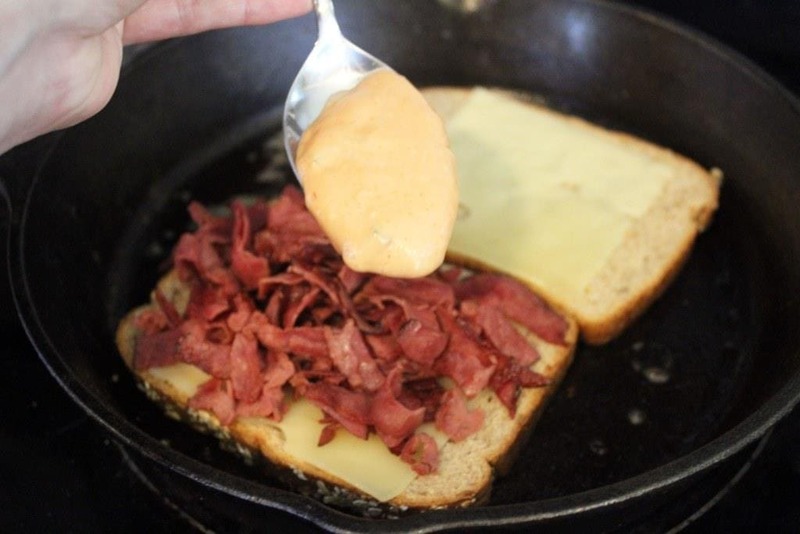 Reubens are lovely, and adding sriracha to anything makes the day better, so I think you should probably make this or something similar as fast as your little booty can find a skillet. 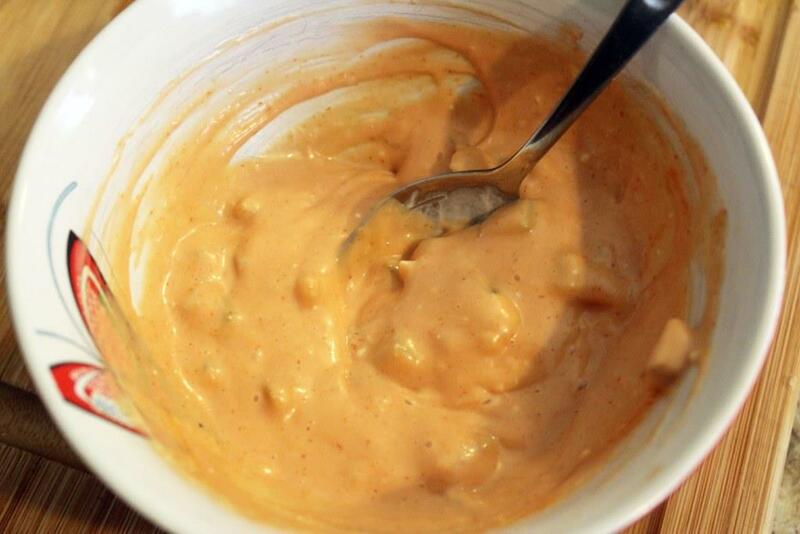 For the sauce, combine all ingredients then taste: add more hot sauce to your liking. 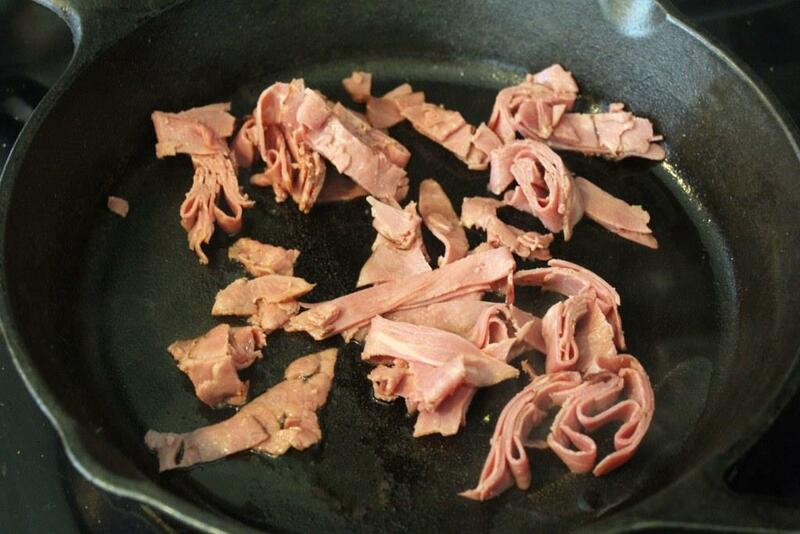 For the sandwich, heat a large skillet to medium-high heat with the beef and a drizzle of olive oil. Toss around for 5-7 minutes until the edges of the beef start to crisp and darken, then remove from the skillet. Reduce the skillet heat to medium-low, and add the butter. Swirl the butter in the pan, then place both pieces of bread in the skillet. Top the bread with 1 piece of swiss cheese on either side. 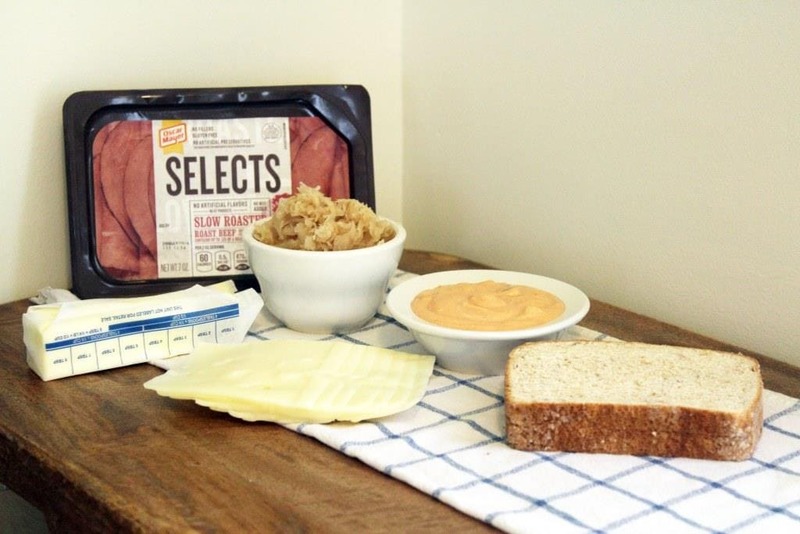 On one side of the sandwich, heap the roast beef, sauerkraut, and a drizzle of special sauce. 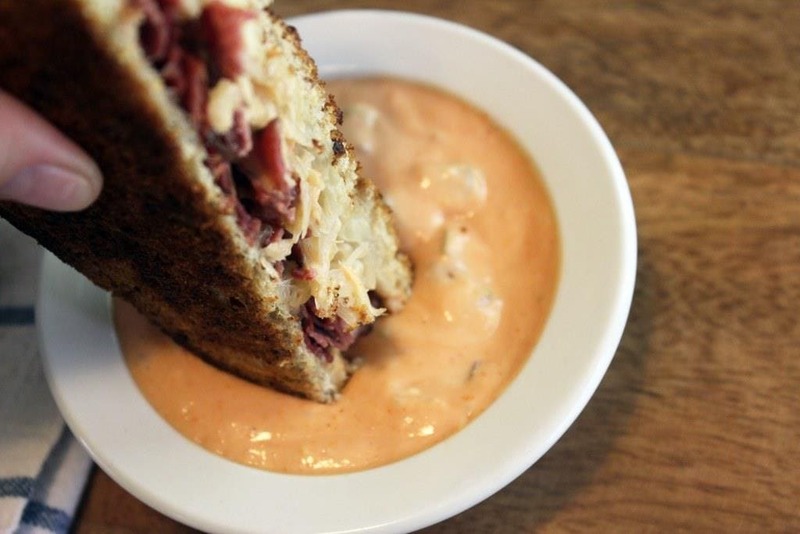 When the swiss cheese starts to melt, bring the two sides of the sandwich together. 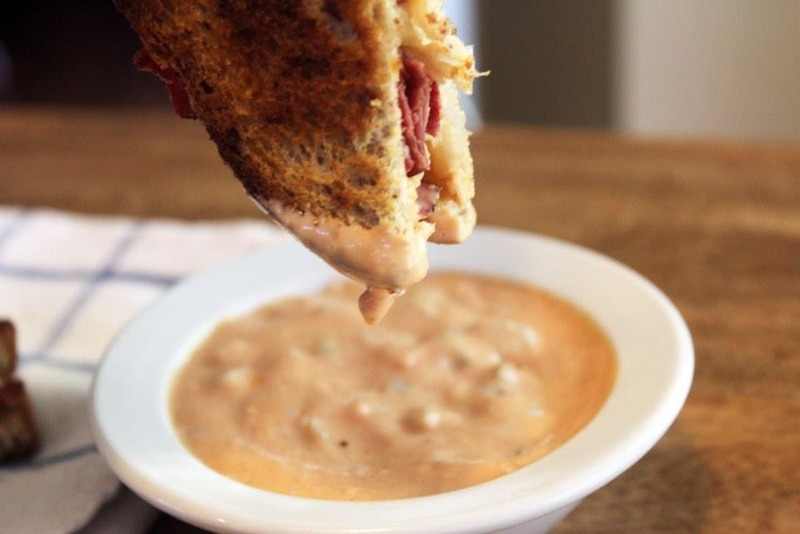 Flip once or twice in the pan until the cheese is totally melted and the sandwich holds together. Cut into wedges and serve with extra sauce for dipping if you'd like!